1 scorpions | This Blog Rules | Why go elsewhere? Our love for pets usually sticks to cats and dogs. We feel safe around them and we get to love them as our own children. Our civilized world doesn’t usually mix with the wild life of snakes, ferocious beasts and eight legged tarantulas. But not even we are strong enough to withhold invasions. Sometimes it’s our fault for being obtrusive and stepping on their territories. But other times we play the victim’s role and try to take shelter from wild creatures. These 5 scary animal swarms invasions are a reminder that some animals will never be domesticated and we can’t control their behavior. When a Californian couple returned from their holiday nothing could prepare them for what they found at their home. 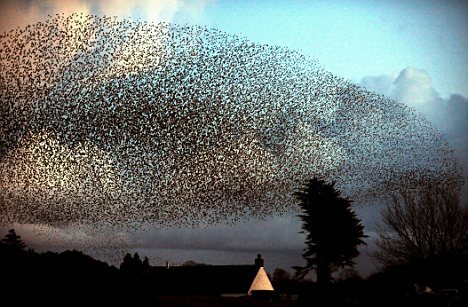 Hundreds of birds had invaded their house and had made a mess of everything. An ornithologist explained the bizarre incident by saying that the birds had mistaken the house’s chimney with a tree. The swarm wasn’t dangerous, but the experience was unsettling. Still, the case is not an isolated one. Many people have been reporting birds coming in their homes through the chimney and making a complete mess of their place. People who live in Nevada are used with the idea of having scorpions around. They aren’t threatening to humans, but they’re still a nuisance. 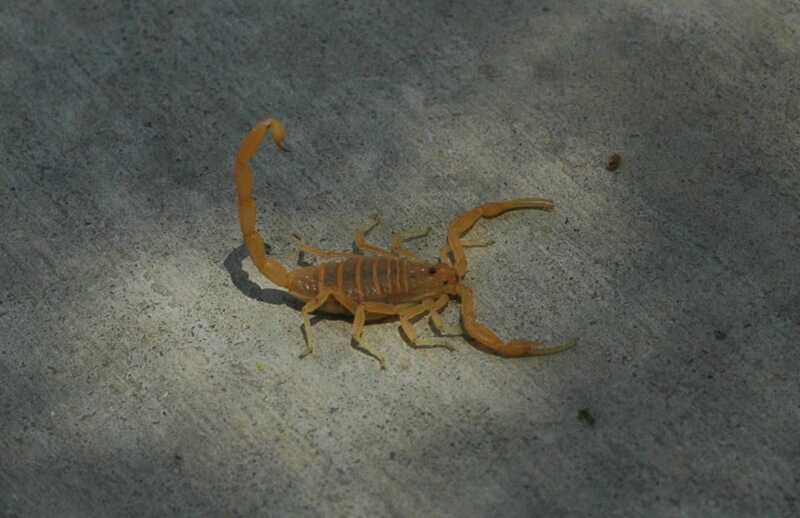 However, the Arizona bark scorpion can be dangerous to kids. It is attracted by the palm trees people insist on adding to their gardens. So residents often complain of finding scorpions in their houses every day. In one particular case, a family’s cat was stung and died shortly after. The problem caused another family to move, scared for their children’s safety. Without her knowledge, a kind woman running an animal rescue was dropped some rats in a cage by an anonymous person. It took her some time before discovering they had multiplied like crazy without her noticing. All of a sudden she was overwhelmed by the situation, and found herself knee deep in rats. 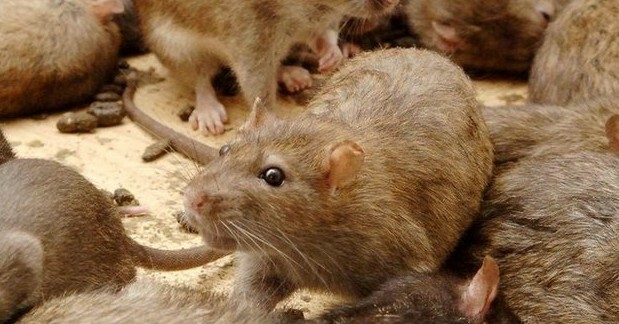 She felt very sorry for the rats and wanted to help them, but her neighbors didn’t hesitate to ring up the police and complain about the thousands of rats from next door. So if you want to drop off some rats at an animal shelter, make sure to let the person in charge know about them. Monkeys can be extremely cute when they swing from one tree branch to another, but the situation in India is really getting out of control. 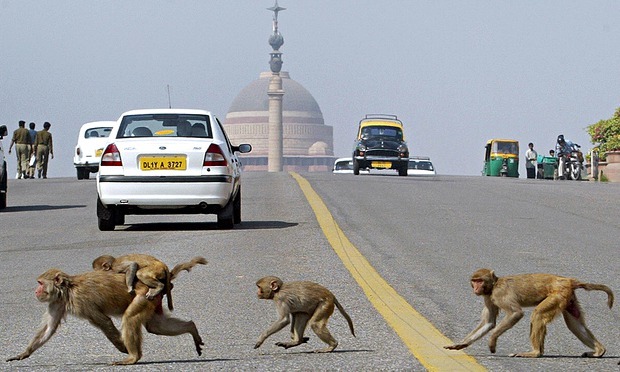 Recent reports estimate that as many as fifty million monkeys are roaming in this country. As a protected species, the locals can’t do much about this pest. And they’re not harmless either. They steal important things as well as food and they damage buildings and historic monuments. They also bite and people risk getting various diseases. The monkeys are considered sacred by some, which makes it even more difficult for India to find a solution for this unsettling issue. Back in 2003 a town in Nevada was infested by Mormon crickets that weren’t shy to take over the roads, the hospital and whole streets. This drove away tourists and many shops were forced to close their doors for days. The authorities bought $50,000 worth of insecticide and managed to kill off the Mormon crickets, helped by the fact that the insects eat their dead fellows. 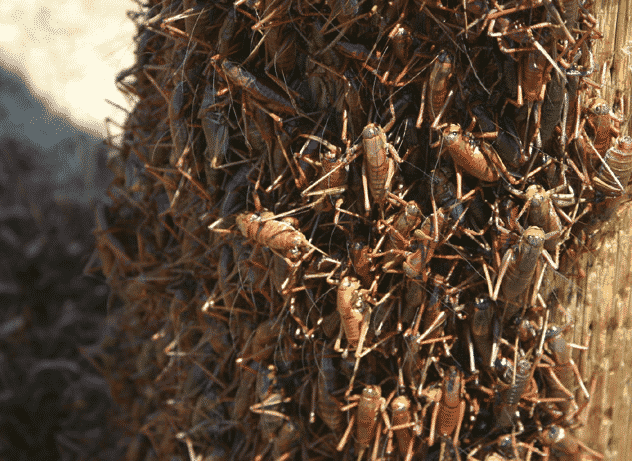 This put an end to the reported 1.6 kilometre long column of crickets that scared the locals to death and made them lock their windows and doors tight.